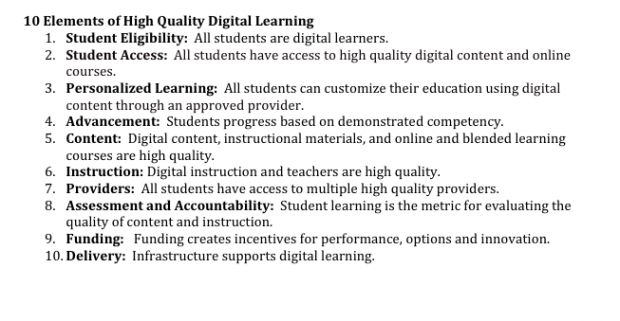 As an initial step in defining their goals, the Digital Learning Council, the 50-member group comprised of executives in the private sector, state officials, and education policy experts, has come up with its top 10 principles. Sounds like they're on the right path. But Paul Peterson at Education Next has two more suggestions. - Funding should be split among providers, if they are sharing the cost burden. - Digital learning needs to be transparent and accountable.